Kim is an anesthesiologist by profession but a healer at heart. She has practiced medicine for more than 30 years. She is the mother of three adult children and grandmother to four and counting. She is an athlete, sailor, friend, scholar, acupuncturist, entrepreneur, businesswoman, mentor, sister, daughter, physician and healer. 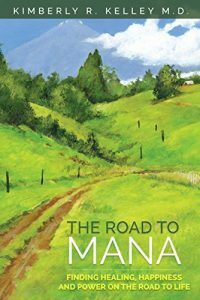 After experiencing life in small town America she relocated to Hawaii to rest, heal and restore her soul. Although western trained, she discovered the true healing in Hawaii using ancient wisdom and tapping into her own spirit. This book is a journey about transition that saved her life and may save yours. She lives in Hawaii and serves at CoreWellnessHawaii on Oahu practicing her unique style of healing.